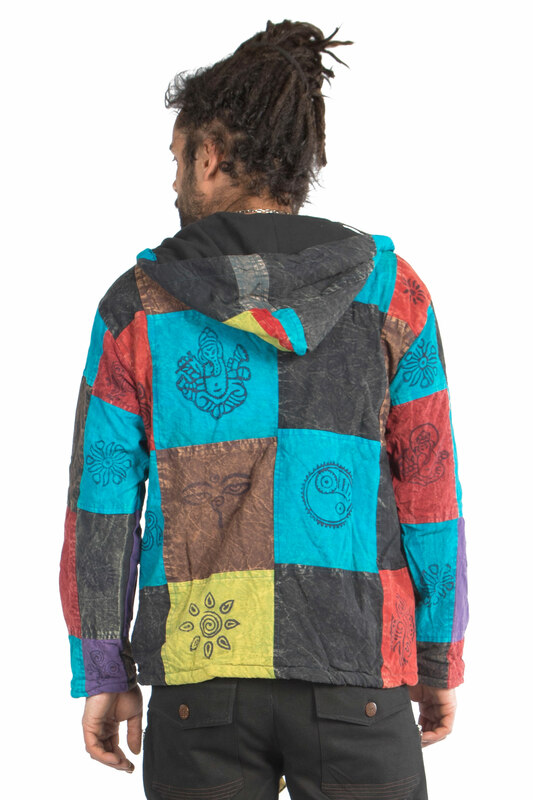 A cosy fleece-lined patchwork hippy jacket for men that's perfect for snuggling up in at festivals or around the campfire. Each patchwork square has been hand block printed with sacred symbols such as Buddha eyes or Om symbols. 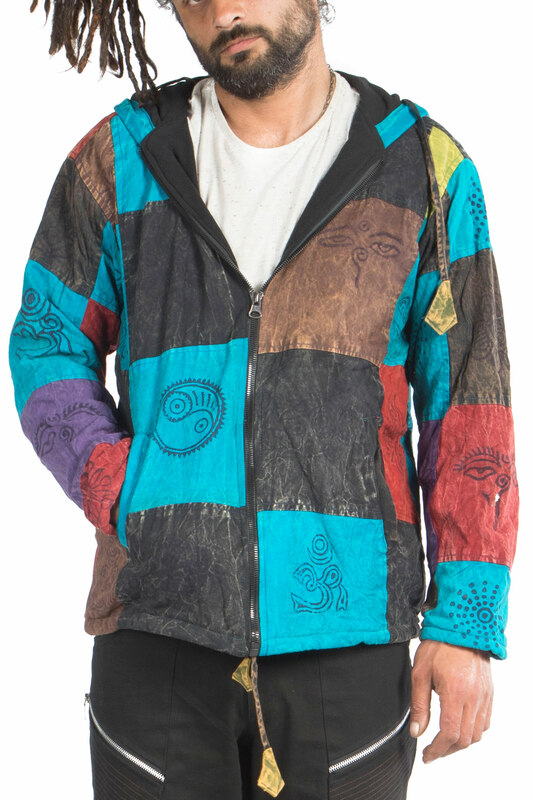 Does up with a zip up the front. 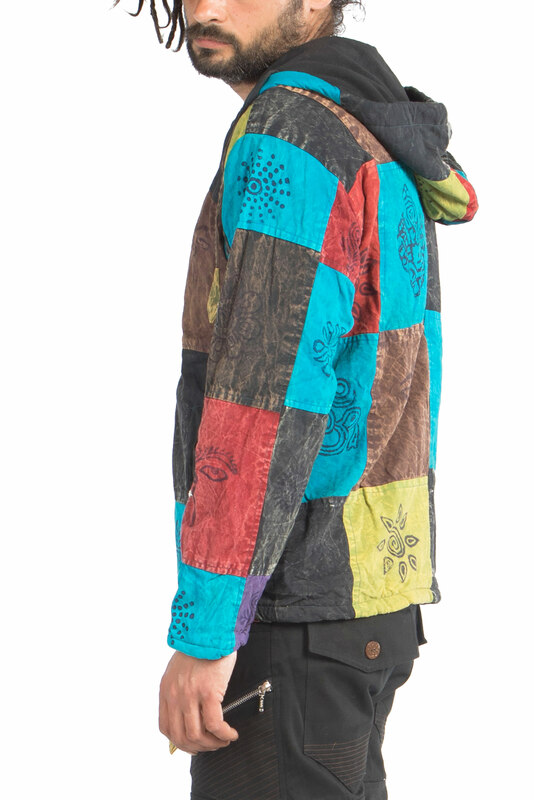 Each jacket is slightly different in that the squares will appear in a different order but the overall feel will be the same.